So, I was digging way into the bottom of the closet, and I came upon three shoeboxes at the back. Two Aldo (mine) and one Allen Edmonds (Mr. Fivezero’s). More shoes, right? Hahahahahahahahaha! The Allen Edmonds box contained mostly Misa nail polish (is it bad that I totally forgot that I should have had more Misas lying around?) but also literally all the eyeshadow palettes I was missing. Plus even more stuff. This is the MAC palette I thought I’d lost. 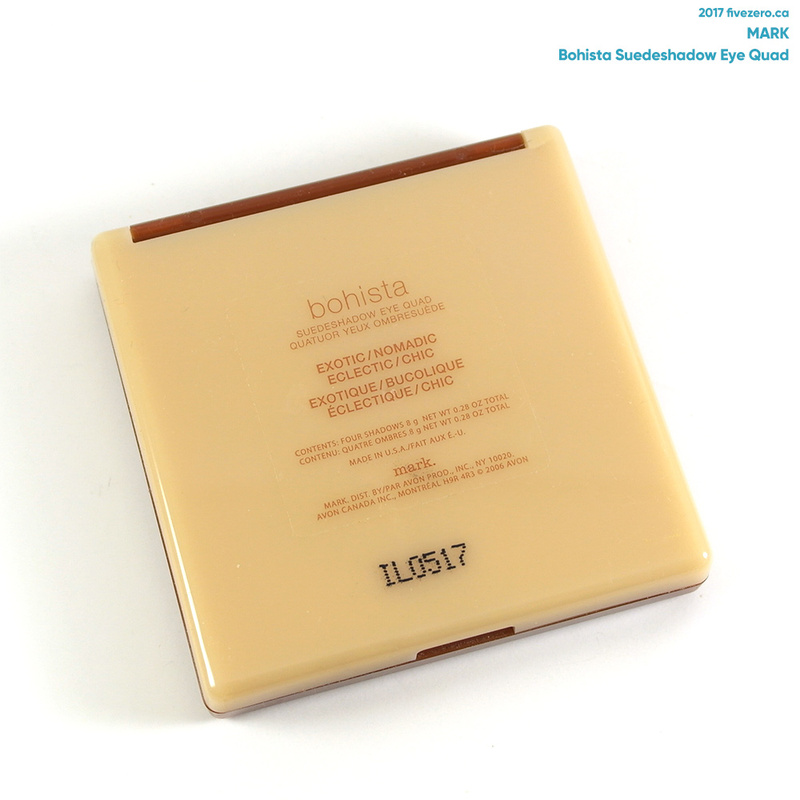 It’s the old 4-pan compact style, which I still like better than the new ones. Grooves make it easy to remove the pans and swap them out. 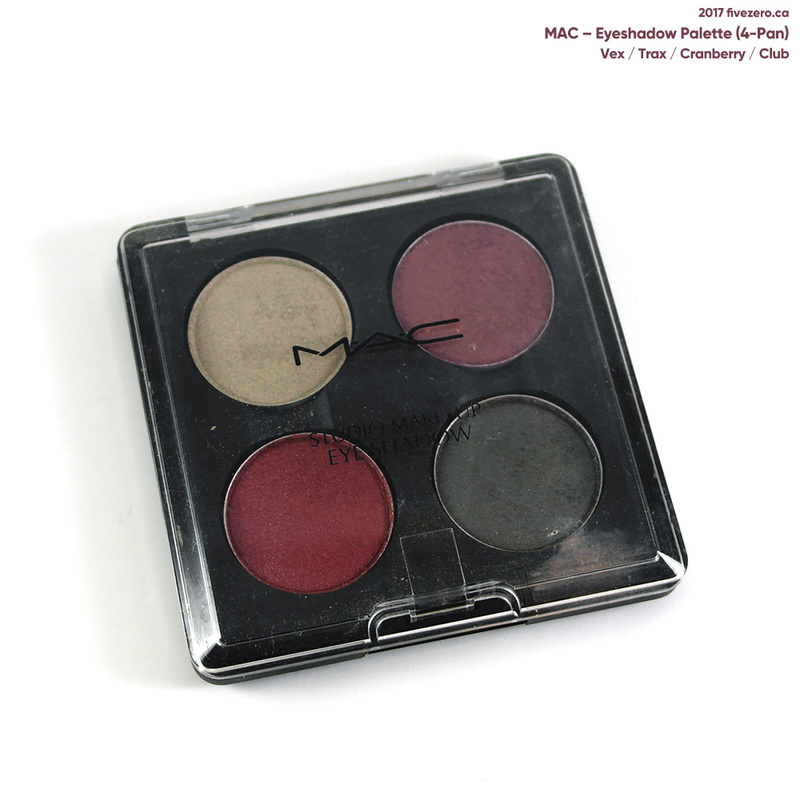 MAC Custom Eyeshadow Palette: Vex, Trax, Cranberry, Club. This is an old e.l.f. 4-pan eyeshadow palette, back from when most of their products cost $1 each. 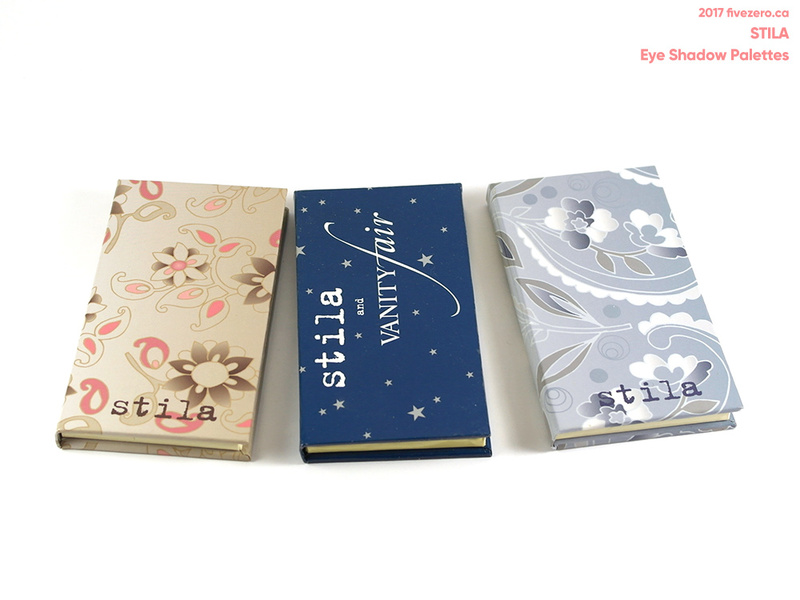 The nail polishes were tiny and absolutely horrid, but the empty eyeshadow palettes, while not the most luxe-looking, were really solid and great value! I forget if it was actually just $1, though. I bought a couple; just found one in the shoebox. e.l.f. 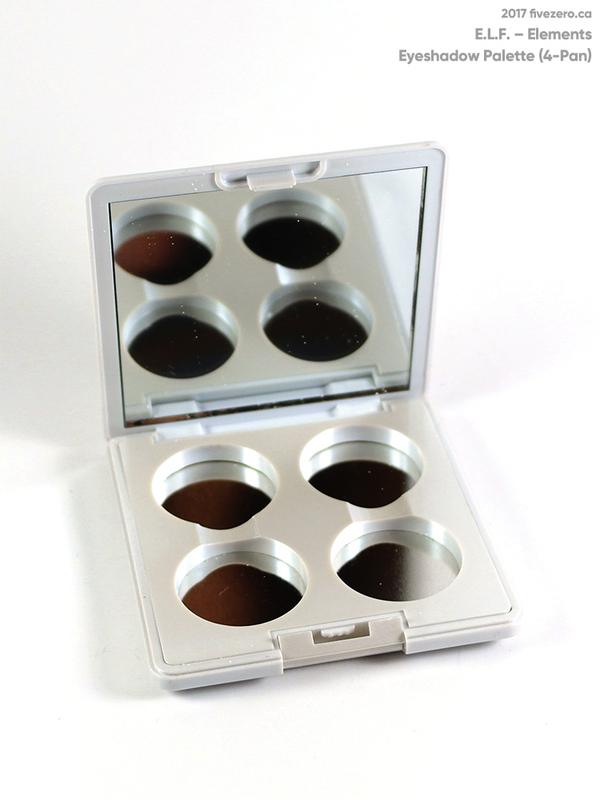 Empty 4-Pan Eyeshadow Palette. 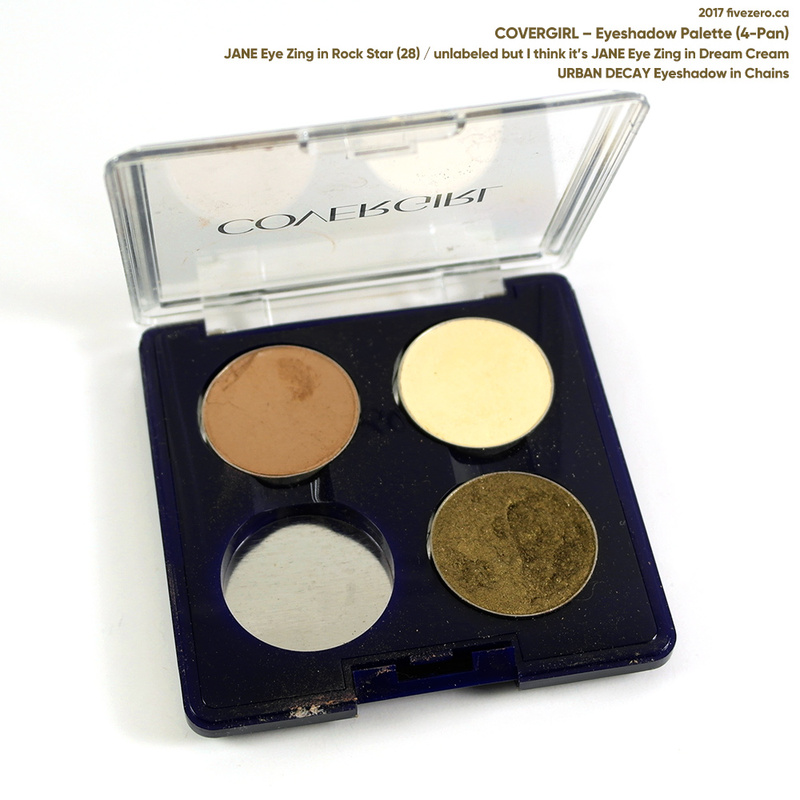 CoverGirl made empty 4-pan palettes for a while, too! It (and the e.l.f. one above) was the same size as the MAC palettes, which was super handy. I remember MAC, e.l.f., CoverGirl, Annabelle, Bonne Bell, Jane, Milani, and Urban Decay eyeshadows all being in the same size pans. 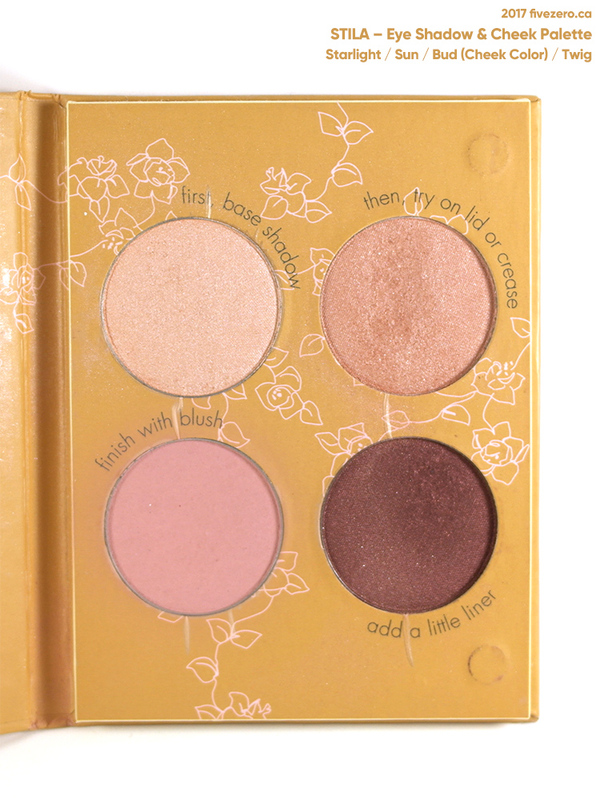 I picked up a few CoverGirl palettes but generally skipped their actual eyeshadow pans—blech! CoverGirl 4-pan eyeshadow palette: Jane Eye Zings in Rock Star & Dream Cream; Urban Decay Eyeshadow in Chains. 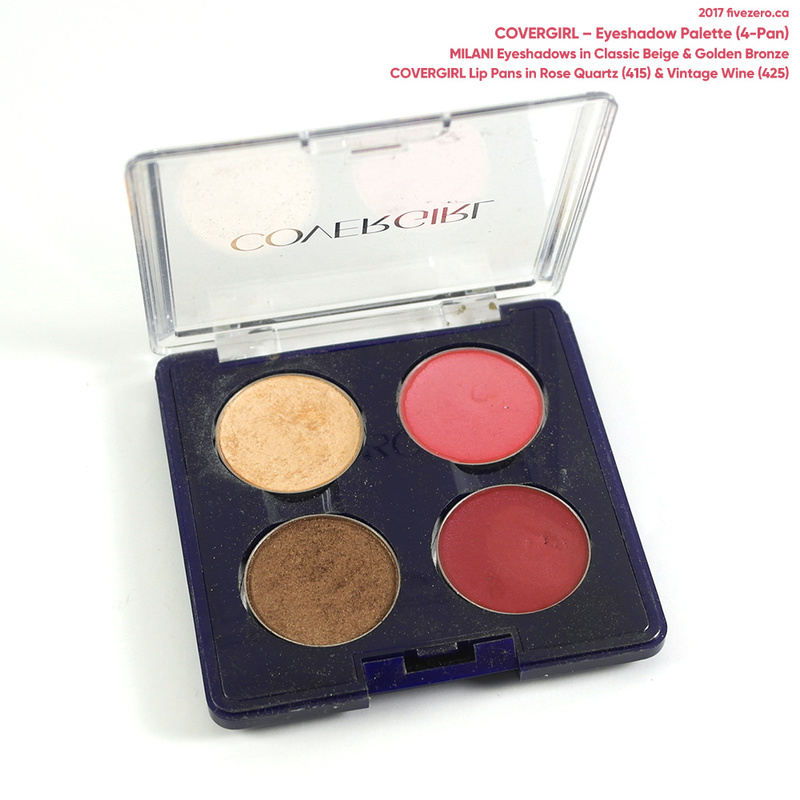 CoverGirl 4-pan eyeshadow palette: Milani Eyeshadows in Classic Beige & Golden Bronze; CoverGirl Lipstick Pans in Rose Quartz & Vintage Wine (both are shimmery but you can’t tell from the photo. mark. by Avon used to make such nice eyeshadow palettes! They might still…I just haven’t bought anything from Avon in ages. 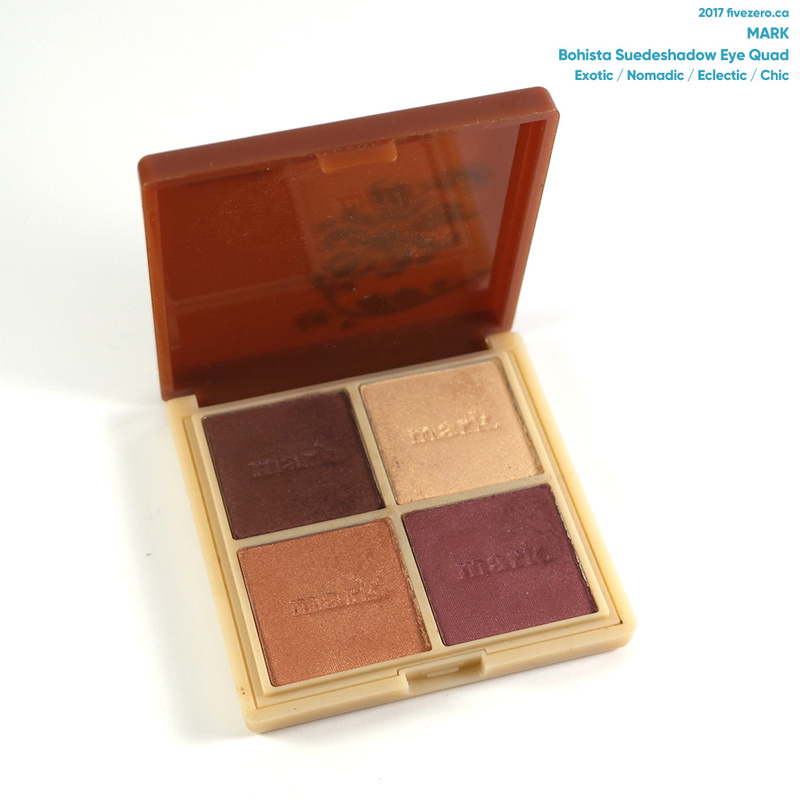 I also used to love the i-mark Custom Eyeshadows! Here’s my Snap to It Custom Palette in the Mezzo size; it’s empty because I eventually got a Mega palette and moved everything in there. I need to find that palette. Ha! mark. Snap to It Custom Palette in Mezzo. 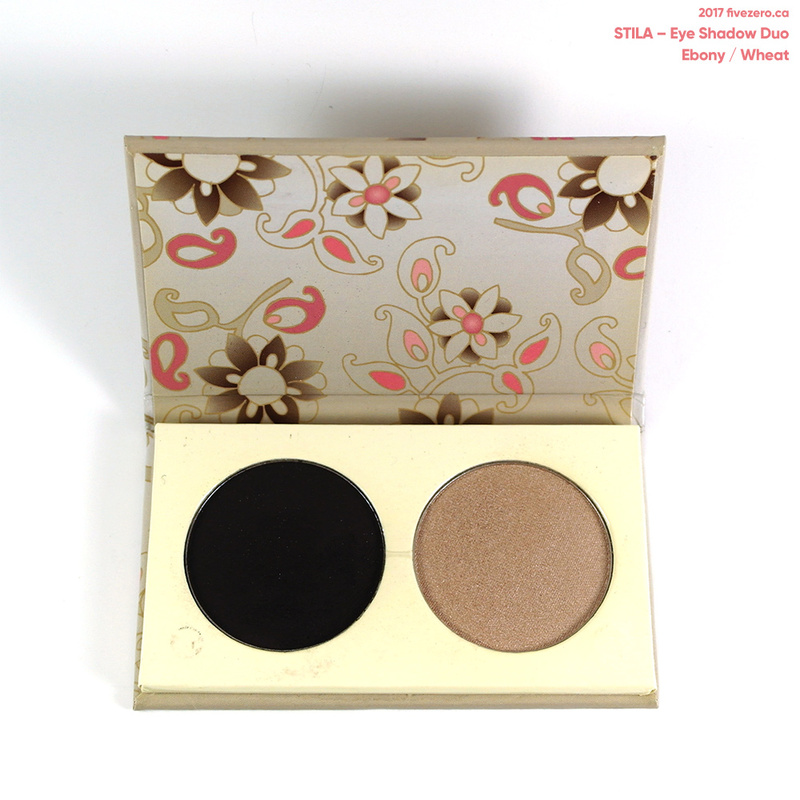 Stila eye shadow duo in Wheat & Ebony. 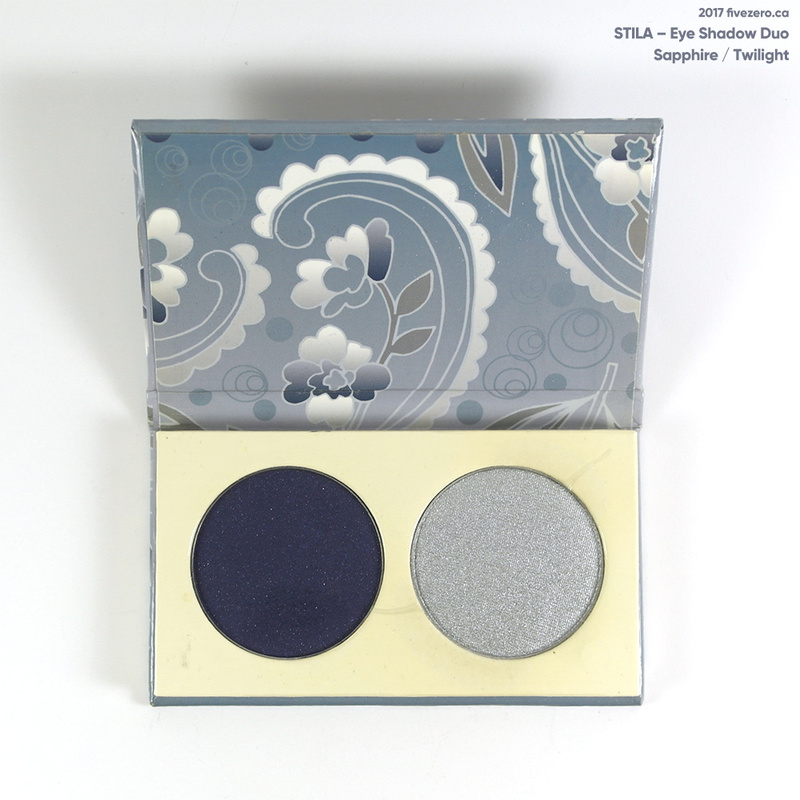 Stila eye shadow duo in Twilight & Sapphire. 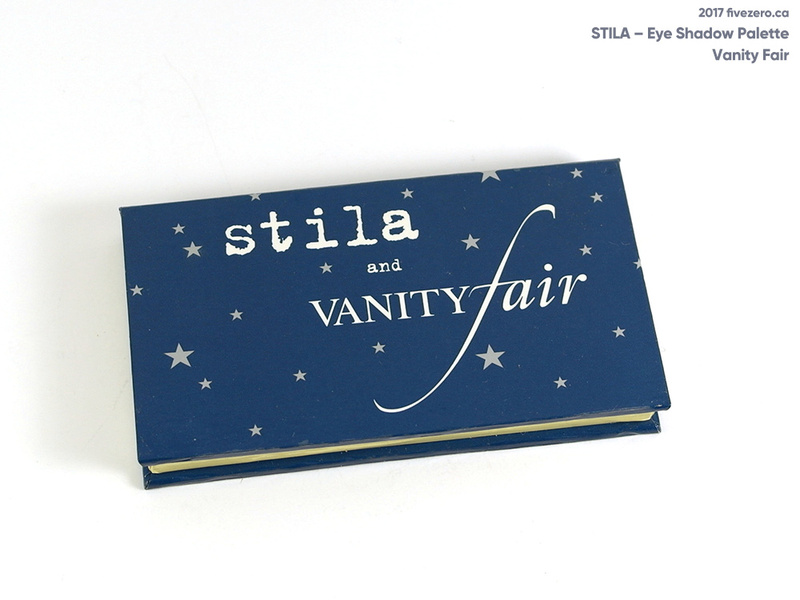 Stila Vanity Fair eye shadow palette (tie-in with the Reese Witherspoon film). 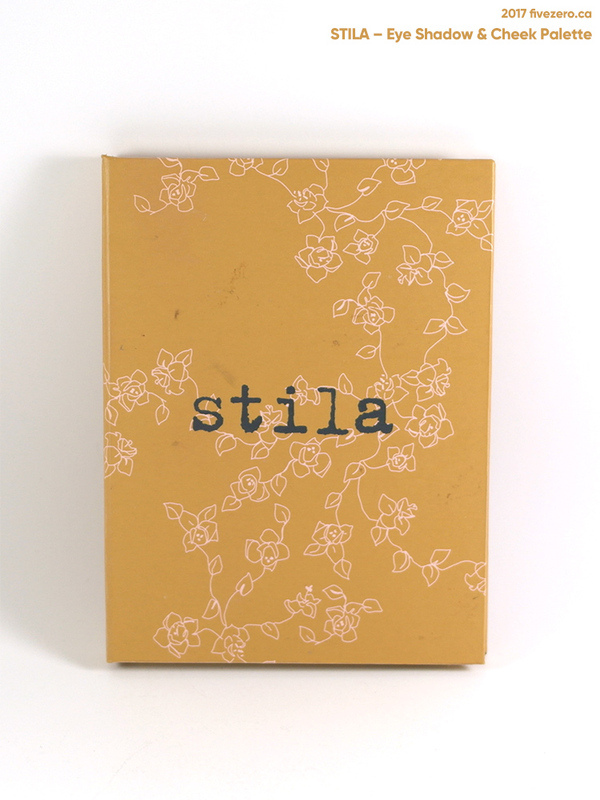 Stila eye shadow & cheek palette. 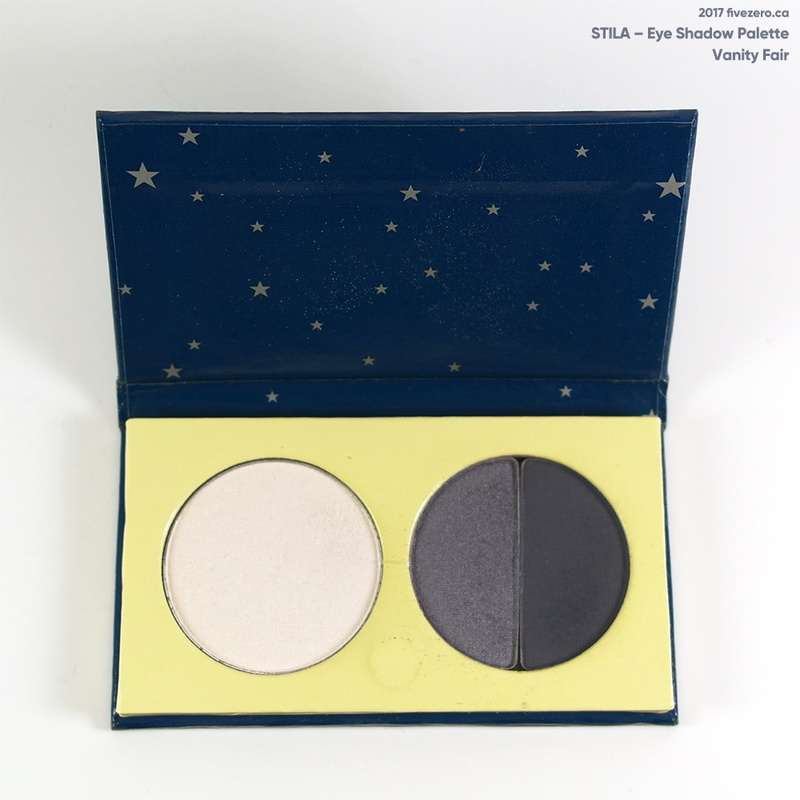 Stila eye shadow & cheek palette: Starlight, Sun, Bud (Cheek Color), Twig. 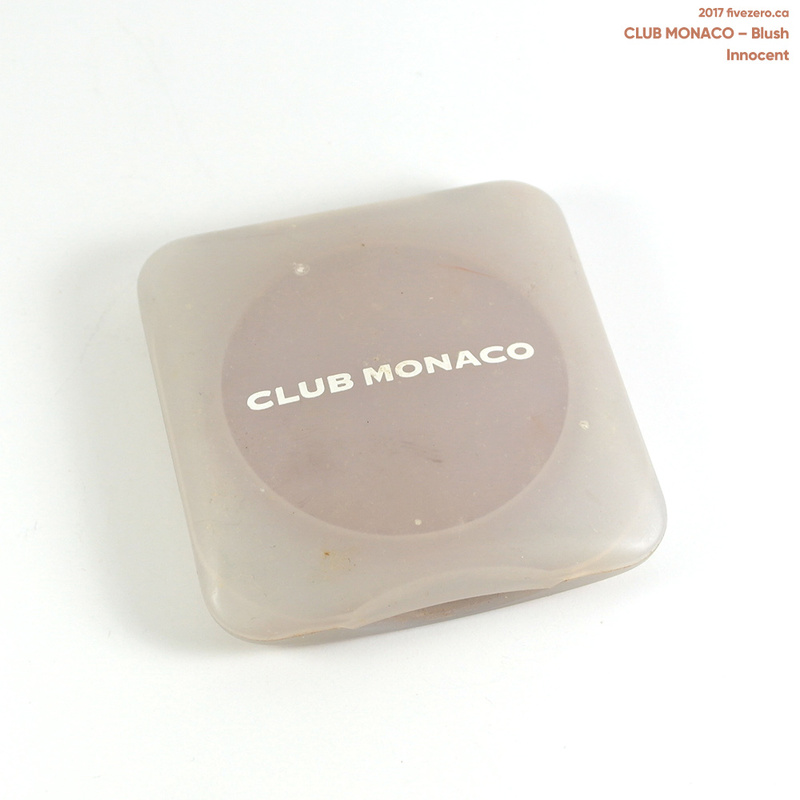 This blush from Club Monaco is very old, because they stopped making cosmetics over ten years ago! 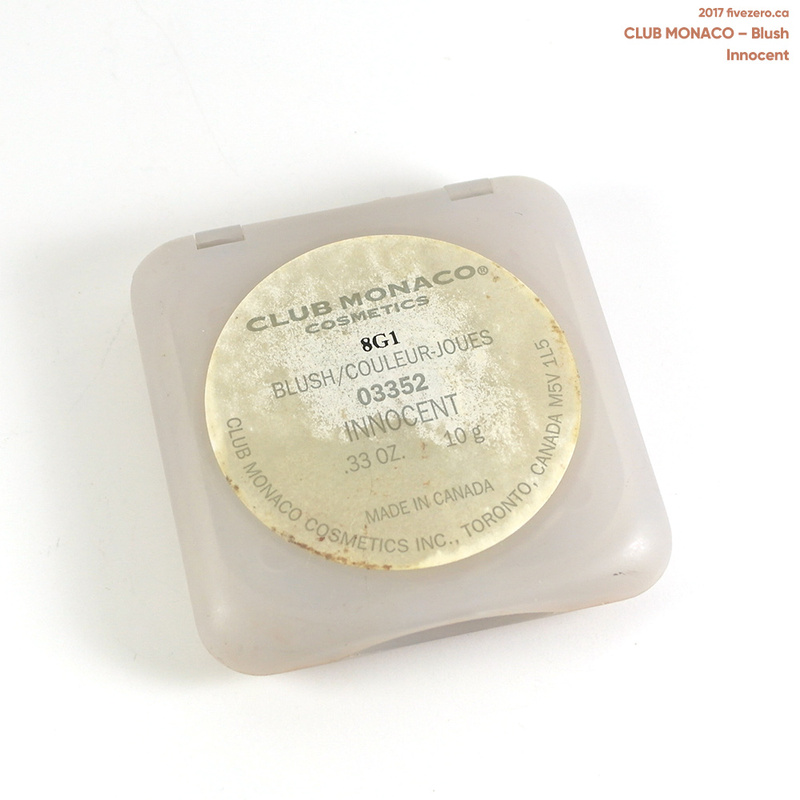 Club Monaco Blush in Innocent. 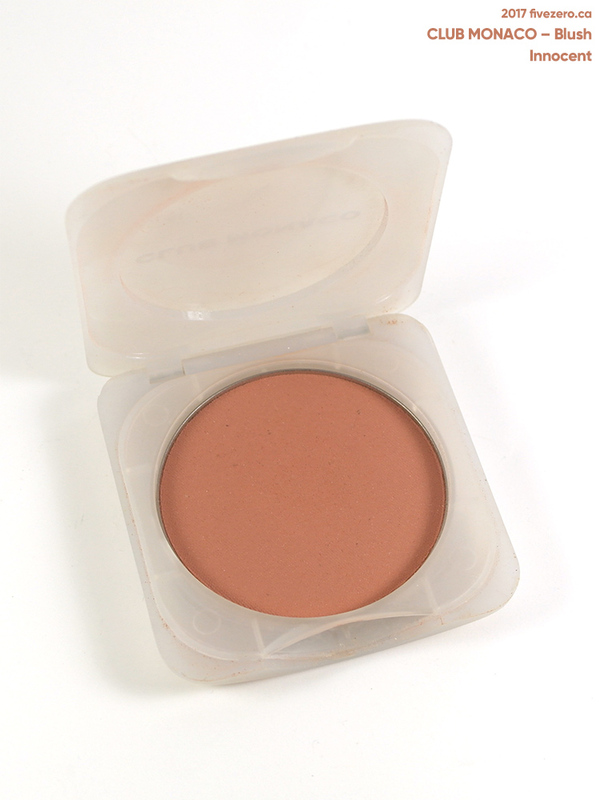 This was my absolute favorite blush because it was a fantastic, natural color and so dummyproof. However, it’s hard to tell because it doesn’t look all that used, does it? I mean, you can’t even see any pan! In my defense, it’s a whopping 10 g! How does anyone finish 10g of blush?! A MAC blush is 6 g and that’s big enough already. I also found some silly things that are probably well past their expiry date and must be thrown out. This Revlon foundation is almost used up, so I don’t know why I even bothered to bring it in the move! The color looks darker than Buff usually does; must be the aging and oxidizing. 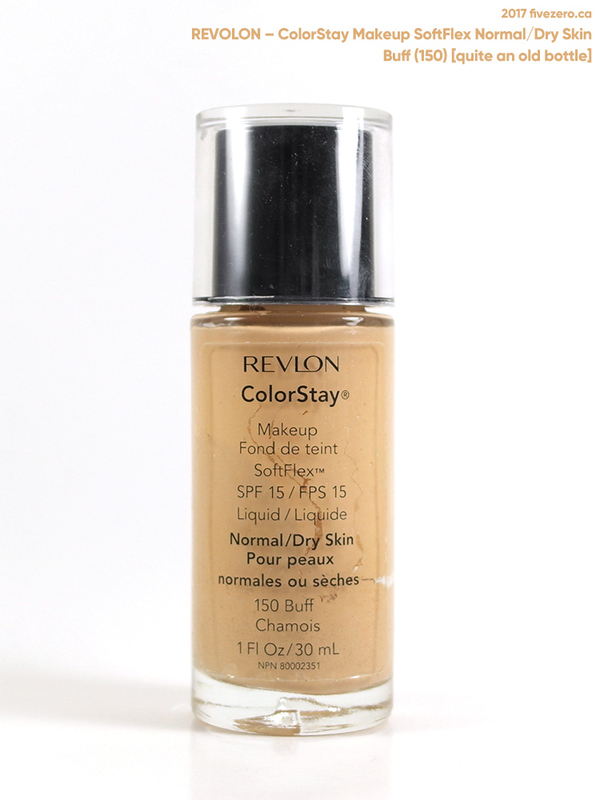 Revlon ColorStay Makeup SoftFlex Normal/Dry Skin in Buff. 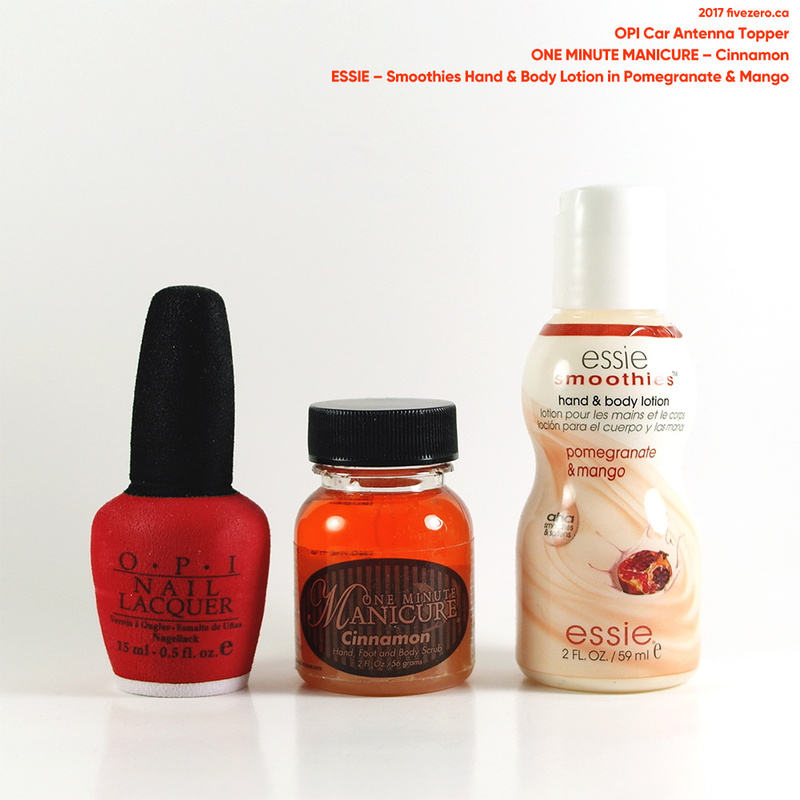 And, best of all, I found an OPI car antenna topper shaped like a bottle of nail polish, a small jar of One Minute Manicure in Cinnamon (I hate fake cinnamon, so no real loss), and an Essie hand lotion that can’t still be good…can it? Essie Smoothies Hand & Body Lotion in Pomegranate & Mango. And that’s it for today’s Throwback Thursday! I’ll leave you all with a tune, since this was such a long post. As some of you may know, Gord Downie of The Tragically Hip passed away yesterday at the age of 53. He had terminal brain cancer. Glad you found your missing stuff! And those Fluevogs, ooooooh I’m drooling! I had three pairs, now only two. My first pair of boots I wore until the leather wore out (maybe 10 years)! I have one pair of heels, and one pair of boots in my collection. I would love to add more! 10 yrs, that’s awesome! They’re really worth the money since they’re such good quality. Next time I get a pair I’ll have to get a low-heeled boot…just don’t wear heels as much anymore. So true, I rarely wears heels anymore either. It’s the best feeling when you find something that was long thought to be gone forever!!! Oh man, I had MAC Cranberry ages ago and got rid of it. I thought it was a discontinued shade but I just checked on MAC’s site and it’s still available. 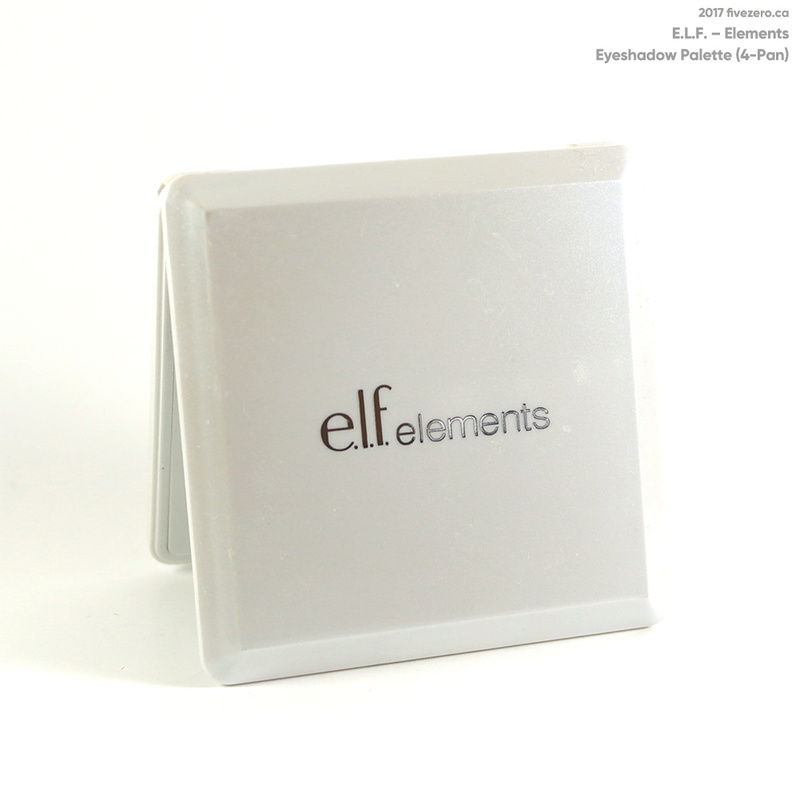 Yeah those $1 elf empty palettes were awesome! But omg you had a CG palette?! I did not know they existed and now I want one. 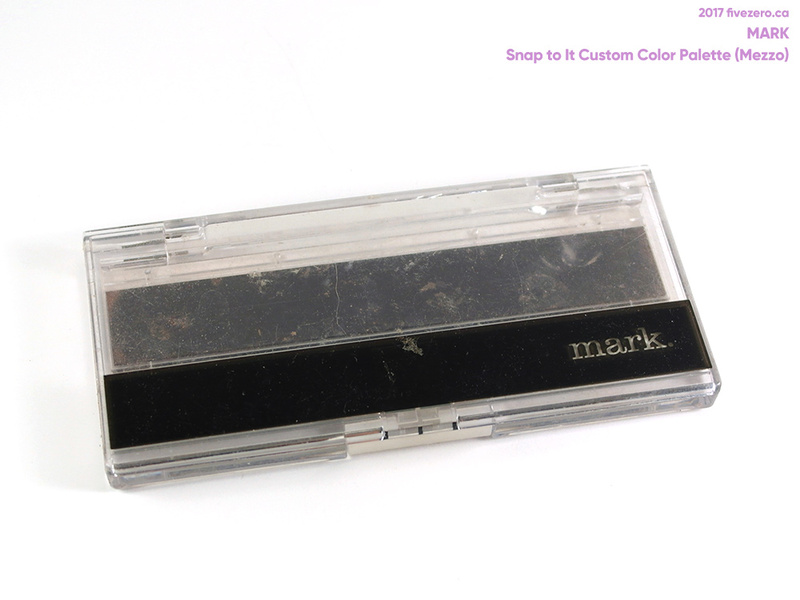 I loved Mark’s eye shadows too. I have a couple of those Mezzo palettes. I still use them from time to time. Yay Club Monaco makeup! I never had a blush but I had an eye shadow palette, lipsticks, eye gloss and lip gloss, brushes (still have the eye shadows and brushes). That line was way ahead of its time. Will you use that blush? The shade is gorgeous. Used to shop on StrawberryNet too! Haven’t looked on that site for ages. And RIP Gord Downie – we ran into him in 2015 when we did a road trip to Ottawa. He was staying at the same hotel we were and him and his crew were just hanging out in front of the hotel entrance, so chill. Definitely the soundtrack to my youth especially while camping! Yes! CG did the palettes and lip/eye pans for a very brief time! I am not sure when exactly. Early 2000s? 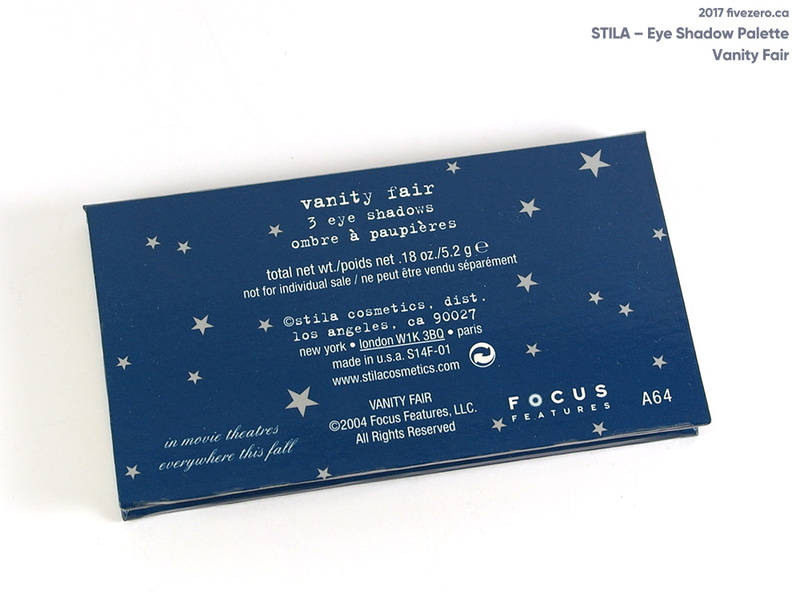 I loved CM makeup, though it was pricey for me back then. Wish they’d bring it back! Remember the Monica Lewinsky lipstick, Glaze? OMG I loved it. And the Jennifer Aniston one, too. And aw how cool you met Gord Downie once. I never meet anyone famous – except last week I did see Justin Trudeau. Like, 20 feet away. LOL. 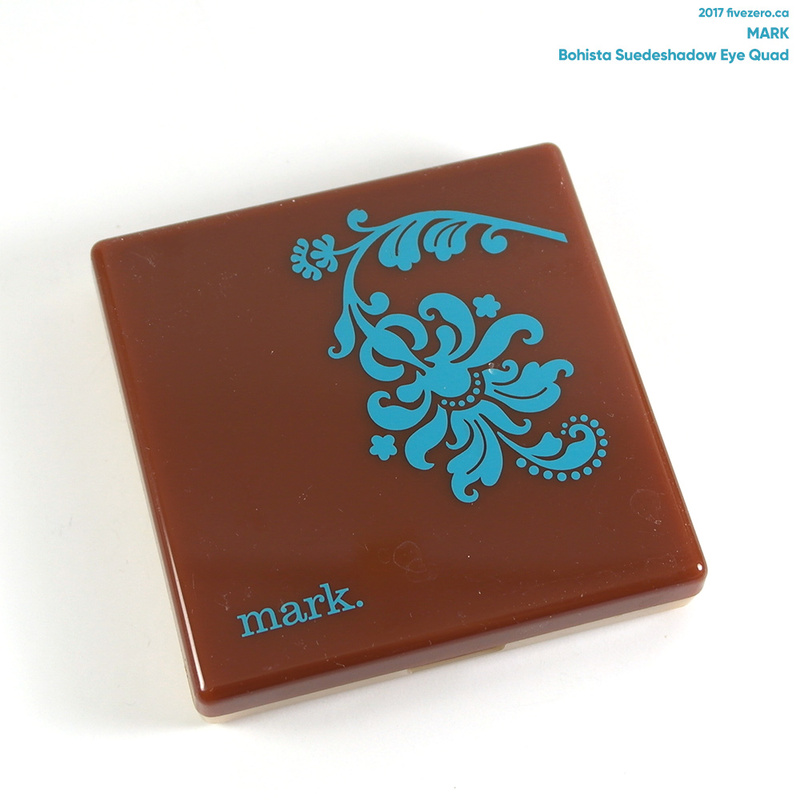 I will do a Throwback Thursday on some of my oldies but goodies and include the Mark palettes in there! Ah yes, size 5.5 is a nightmare. 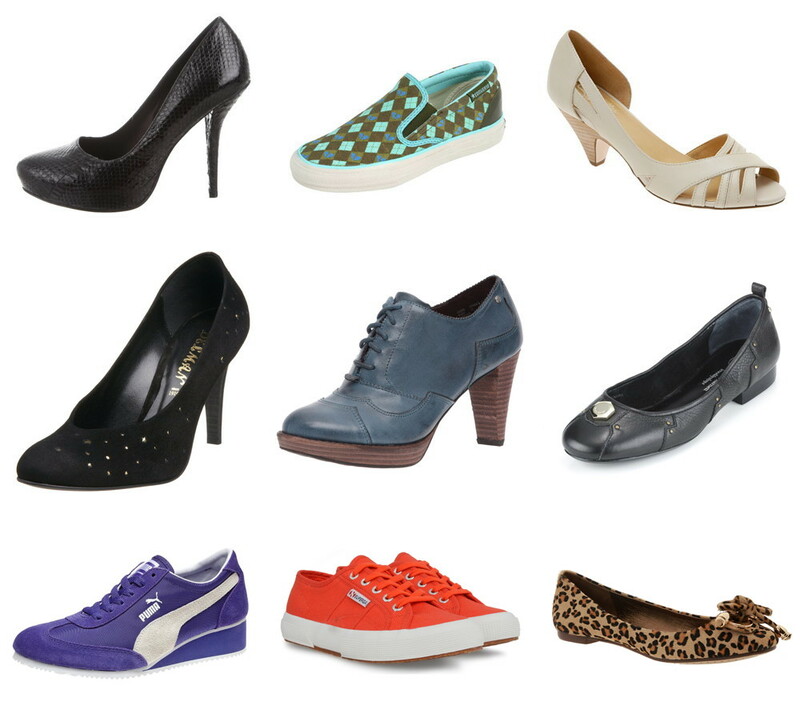 I have a friend with that shoe size and the poor thing is limited in her choices. Nah, I’ve never noticed any weird proportions between your feet and your height – no clown feet!